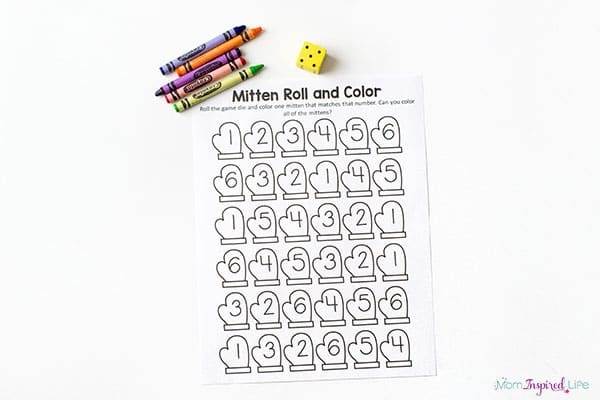 This mitten math activity is a simple way for young children to practice counting, number recognition and subitizing this winter! 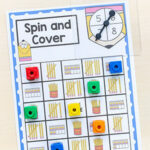 This roll and color game is also lots of fun! 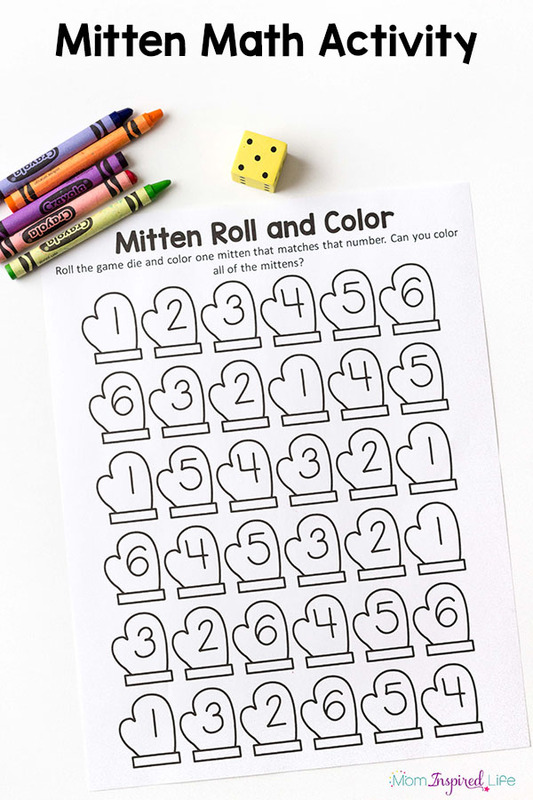 Last winter, this heart roll and color activity was super popular with both my kids and my readers! So I figured I would make another version for you all to enjoy this year! 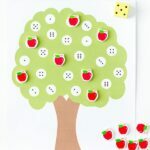 This one is a mitten math activity that is similar, but also different in a couple of ways. 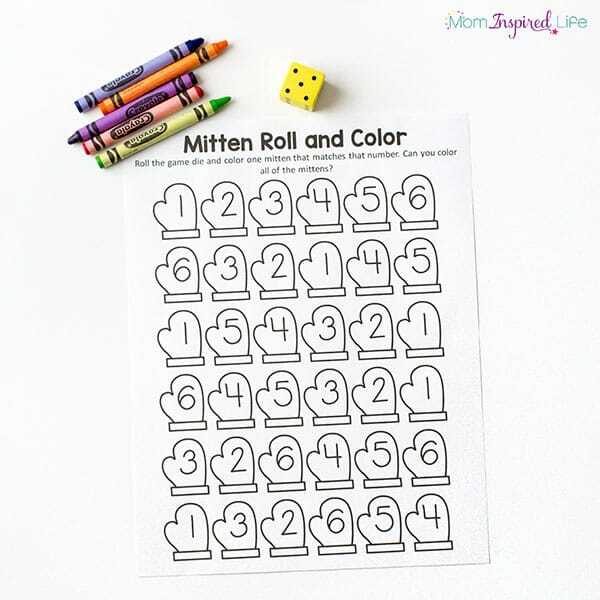 With this one, kids will simply color a mitten with the same number as the one they rolled on the dice. 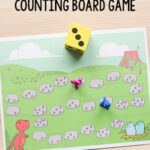 This will help them practice number recognition in addition to counting or subitizing. Another way that my 5-year-old likes to use this is to make it more of a game. 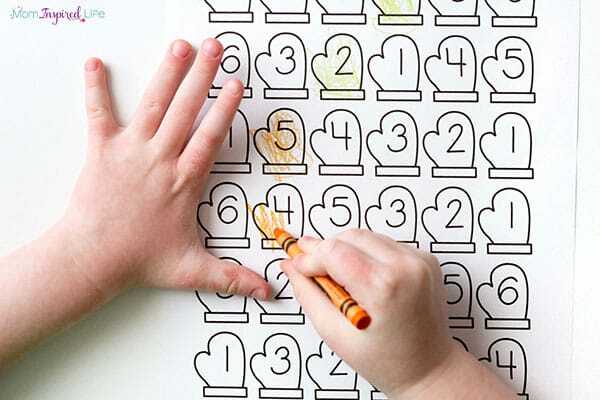 He likes to play roll and color numbers, but with the goal of getting a whole row colored first. It could be vertical or horizontal or diagonal row. 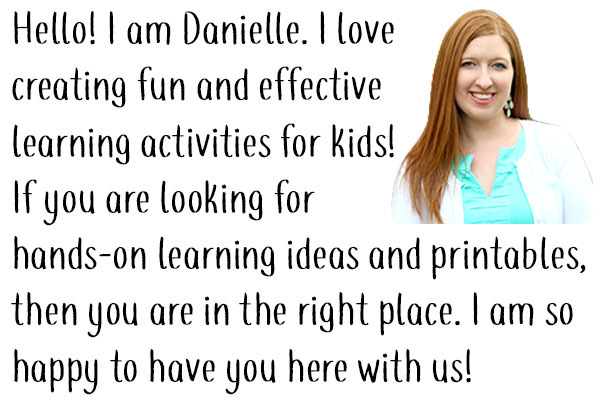 I highly recommend you try this version if you want to add a bit of extra fun and competition to the activity! My 3-year-old is just learning to recognize numbers, so this is something we did together. She would roll the dice and I would help her count the dots on it to see which number we needed to look for. Then I would help her find that number on the page. She cannot finish this whole page at once. So if your child loses interest before finishing, please know that it is totally normal and absolutely fine. I just put a large number of mittens on it so that kids of varying ages would be able to use it. 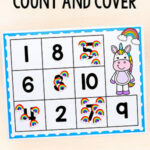 You should also check out these penguin counting mats. Both of my kids used them in variety of ways. They are great for winter themes too! 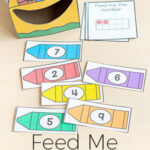 The only prep you need to do for this activity is to print the sheet out and grab the crayons and dice. I like to model how to use the sheet first and then let my son get started. 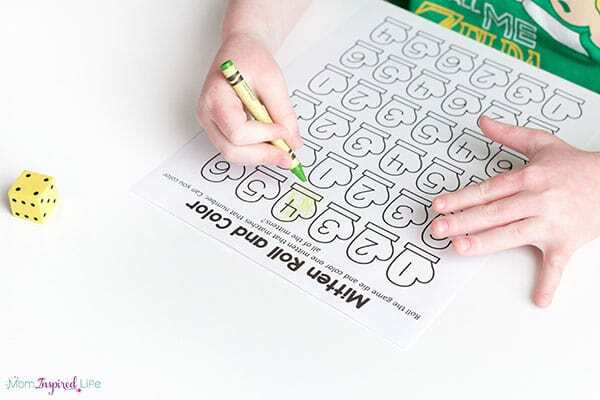 Our favorite way to use it is to each get a sheet and then race to be the first to color 6 in a row. My son loves the competition! This would be a great addition to a school math center. I bet the kids would love racing to get 6 first. 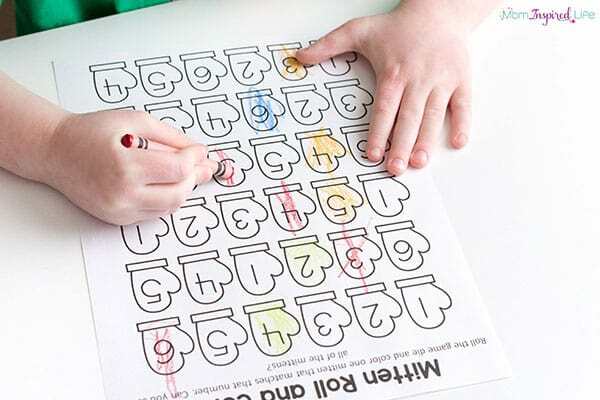 Or being the first to get the whole sheet colored! 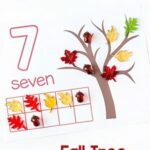 I like that I can use this as a quick math activity for my kids this winter!